Released on February 8, 2019 by Because Music Ltd. The years fly by. Ten already! 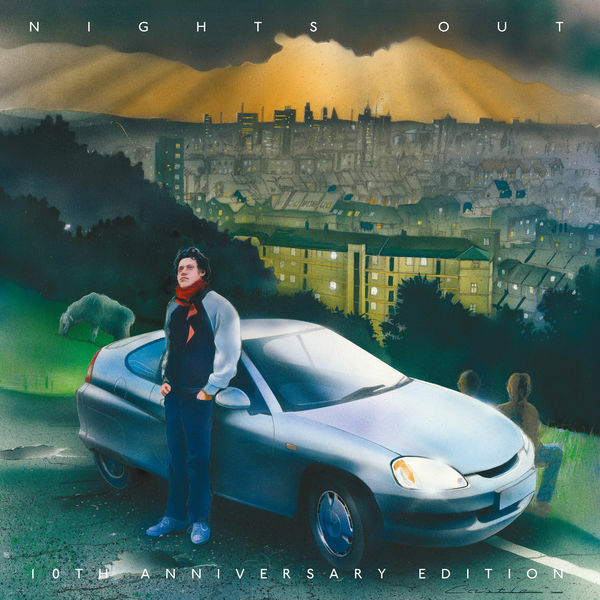 Nights Out is a golden nugget of synth pop from 2008 packed full of brooding hits such as Heartbreaker (with its squeaky door sample), A Thing For Me and Radio Ladio. With three synthesizers, a guitar, a nonchalant bass and falsetto choirs, the formula fed into the electro pop wave of the time, placing the group alongside the likes of Hot Chip. While much of the work from this genre remained in rather exclusive circles, Nights Out provoked a groundswell that affected a huge audience, despite its eccentric sound.